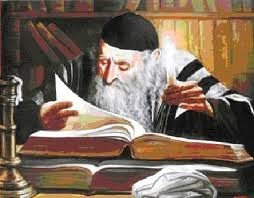 Rabbi Solomon Yitzhaki (1040-1105) born in Troyes, France, Studied in Rhineland (Germany)in Worms. He is better known as RASHI, the great biblical scholar and commentator. I have some chromosomes I share with either Rabbi Samson Wertheimer (January 17, 1658-August 6, 1724) or his brother, Moshe. Samson was the chief rabbi of Hungary and Moravia and a rabbi of Eisenstadt. He was also an Austrain financier, court Jew and Shtadlan to the Austrian Emperor, Leopold I. 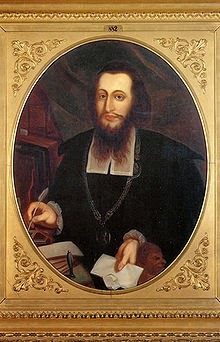 He was born in Worms, Germany, the son of Joseph Josel Wertheimer (1626-Maya 2, 1713) and was educated in the Yeshiva at Worms and also at Frankfurt am Main, in Germany. I'm Ashkenazi Jewish as my grandfather lived in Telsiai, Lithuania. These brothers are descendants of Rashi. The Jewish Press newspaper told of a study about Ashkenazi Jews authored by Shai Carmi at Columbia U and medical researchers whose genes were compared with non-Jewish Europeans and found unique genetic markers of the Ashkenazim. Itaik Pe'er concluded that everyone of Ashkenazi Jews is at least a 30th cousin. We can trace our ancestry to a "bottleneck" of just 350 Jews dating back about 600 to 800 years ago. Another study had taken us to only 4 females from another bottleneck. Bottlenecks are when a whole community is killed and only a few are left in which our genes generate from. It shows we've lost a lot of potential genes from other who were not able to produce offspring. 800 years ago brings us to the year 1214; the Middle Ages. to 1414. What happened between these years? From 1146 to 1391 the Jews of Spain were forcibly converted to Christianity. Many kept the faith and became Marranos or hidden Jews, now called Anusim who have recently gone back to Judaism. The big bang for Spanish Jews came in 1492 with the edict to convert, leave, or remain Jewish and die. For starters, the Jewish community in Jerusalem was massacred by the Crusaders in 1099. This wasn't a good sign, but showed others that our lives didn't matter to them. So, by 1290, England threw all of the Jews out for the next 400 years. Jews were thrown out of France in 1306. In Toledo, Spain, 12,000 Jews were massacred by their mob in 1355. Jews were thrown out of Hungary from 1349 to 1360. Resource: The Jewish Press, Friday, September 19, 2014, page 54, International News, Study: Ashkenazi Jews share Close Genetic Ties, Week in Review page edited by Jason Maoz.